Evidence of different metabolic phenotypes in humans -- Assfalg et al., 10.1073/pnas.0705685105 -- Proceedings of the National Academy of Sciences shows that the biochemical differences between people are larger than the biochemical differences that occur from day to day due to diet, lifestyle and other factors. 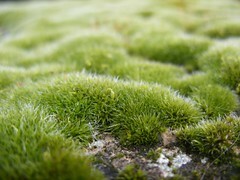 We seem to have metabolic fingerprints that at least don't change over the span of months. This might be useful for pharmacology, nutrition and medicine if we can figure out what metabolic fingerprints make us more or less vulnerable to different things. The researchers took urine samples from 22 healthy volunteers over the span of three months. These were measured using NMR, and the spectra were then analysed using PCA, HCA, clustering and the usual statistical rigmarole. 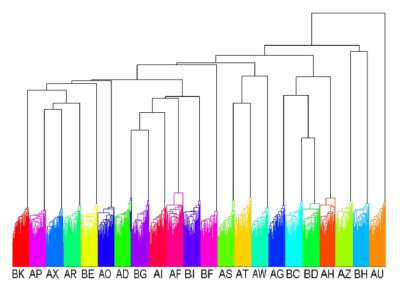 I think the nicest diagram in the paper is this dendrogram, showing how close different samples are to each other. Different people have been given different colour, and the height of the branchings show how far away from each other the different clusters are. Clearly people are more chemically consistent with themselves than their "chemical neighbours". Y. Ofran, D. Lavi, D. Opher, T. A. Weiss & E. Elinav, Fatal voluntary salt intake resulting in the highest ever documented sodium plasma level in adults (255 mmol L−1): a disorder linked to female gender and psychiatric disorders, J Intern Med, 256:6 pp 525-528, December 2004 (via A Good Poop). The ability to consume such large quantities of salty water is peculiar. The ‘spiritual’ environment and the attendance of a large number of close family members in the exorcism ceremony might have prompted the patient to resist her natural distaste and ingest the highly salty beverage. The patient's depressive disorder may have contributed to her obedience and compliance with the drinking, whilst depression has been suggested to alter the sense of taste in a minority of individuals. Reviewing previous cases of death by salt overdose, the paper notes that beside another exorcism where the victim was forced to ingest salt (this time as a 'treatment' for epilepsy) and a case of a fisherman swallowing much salt water, all other cases had patients suffering from cognitive or psychiatric disorders. Having a mental disorder seems to increase the risk of being salt poisoned by enabling consumption (either voluntarily or religiously coercively). A close perusal of the statistical data on poisoning cases shows that ease of availability is the main factor determining the choice of poison for suicide or homicide. For example, in 65–70% of poisoning cases in Kerala, the toxins used are insecticides that are easily available to farmers. In the Kottayam and Idukki districts of central Kerala, however, where there are many rubber estates, more people use the so called ‘rubber acids’ (acetic acid and formic acid used for processing rubber latex) for committing suicide, while in Palakkad district the use of Thevetia peruviana (yellow oleander) is more widespread because of its natural abundance there. Those with access to goldsmiths use cyanide, since goldsmiths are licensed to possess it for purifying gold and electroplating. Those working in automobile electric workshops use sulphuric acid (battery acid), while the elite class tend to use drug overdoses. It can thus be said that the availability of the poison and the victim's social and educational status play a role in the choice of the poison selected for committing suicide, although no distinction can be drawn caste-wise, since people of all castes in Kerala's coastal areas and backwaters commit suicide by taking odollam. Suicide by drinking acetic acid? Suicide by sulphuric acid? People have to be really desperate to do that. But if ease of access is a key factor compared to horribleness of dying, then there ought to be a lot more salt suicides we have not noticed. On CNE I blog about how the UK House of Commons health select committee is suggesting changing things for NICE. Last week I blogged there about recycling hearts. I'm Not a Number; I'm a Bunch of Personas! A practical ethics blog: practicalethics: I'm Not a Number; I'm a Human Being: RFID Tags and Our Personas. My argument is that what is important is our ability to shift social personas rather than privacy per se. This week Nature Medicine had a few fun results. The one with the highest gosh-factor was of course Perfusion-decellularized matrix: using nature's platform to engineer a bioartificial heart by Ott et al: they cleaned out rat hearts with a detergent, making a perfect scaffolding to grow new cells on. While it isn't that hard to get spontaneous beating of myocardial cultures (if I understand right) this actually produces the right architecture of an entire organ, which is far more impressive. Obvious scaling issues of course. It turns out that Adenosine is crucial for deep brain stimulation–mediated attenuation of tremor - the electrical signals cause release of ATP, which is broken down to adenosine, which depresses synaptic excitatory transmission. So the effect of the electrode is not entirely due to the signal but simply that it tires out the local neurons. This explains why the form of the signal doesn't seem to matter that much. I wonder how DBS reacts to coffee drinking? Finally, a group of researchers found a signal pathway required for salt-induced hypertension. Apparently it does not regulate basal blood pressure, so treatments targeting it might not have hypotensive effects. Sounds good, I like salt. I'm very fond of Strange Maps, but it focuses mainly on odd Earth maps. Here is an unusual sky map. 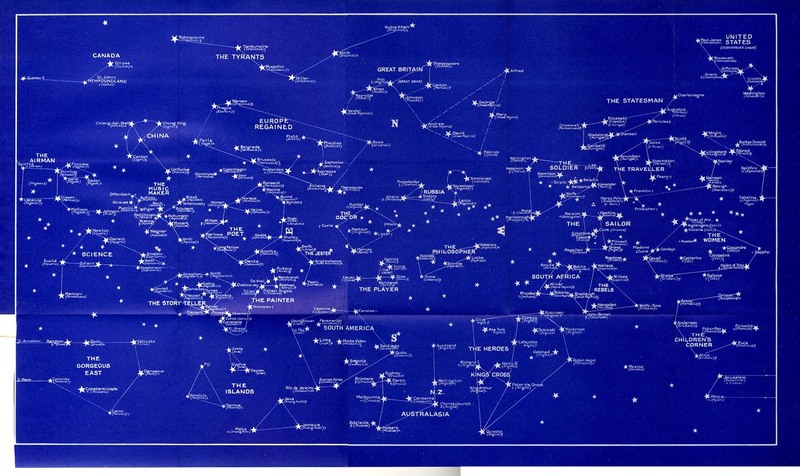 This is the revised sky map proposed by Sir Alan Patrick Herbert in 1944, intended to make people more interested in astronomy by making the stars and constellations easier to remember. 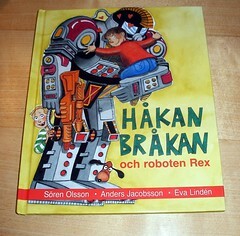 He published it in the book A Better Sky. 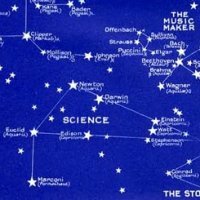 A review can be found in The Observatory 65, p. 150-1, 1944. 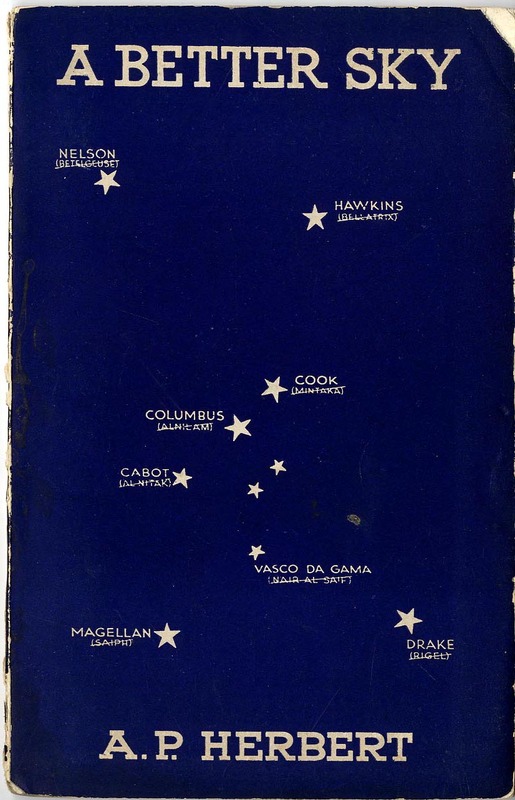 The basic idea is to throw out those old and strange star and constellation names in favor of modern, exciting names like The Sailor for Orion, renaming Betelgeuse Nelson and Rigel to Drake. Scorpio becomes The Painter, a new constellation named Europe Regained stretches from Paris (Vega) to Rome (Cor Caroli). And the great bear becomes Great Britain. Even Robespierre, Tamburlaine, Mussolini, Hitler, Atilla and Kublai Khan get their own constellation, The Tyrants. Strangely, it was not a success.